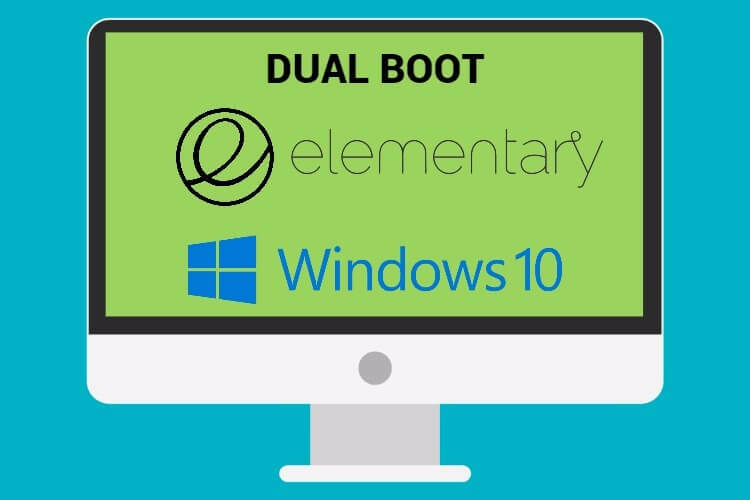 In this article, I’ll be explaining How to Dual Boot Elementary OS on Windows 10/8.1/8/7 PC and Laptop. People at Elementary.io claims that Elementary OS is a Replacement for Windows and macOS. The tutorial to Dual Boot Elementary OS on Windows is long overdue and on of the most requested one on our WatchMeTech YouTube Channel. Well, I made a video tutorial on the same on the channel but unfortunately, most of the people were unable to get 100% in dual booting the OS with Windows. The reason & remedy for this will be explained in the later part of the tutorial. Please check the conclusion section if you’re one of them and want a fix ASAP. As earlier mentioned You’ll find a Video Tutorial for more precise instructions to dual boot elementary OS. So let’s get started. The first thing to do is to download the Elementary OS ISO file from here: https://elementary.io/. You can Magnet Link if you like to download it via a Torrent client or you can choose the direct download link. 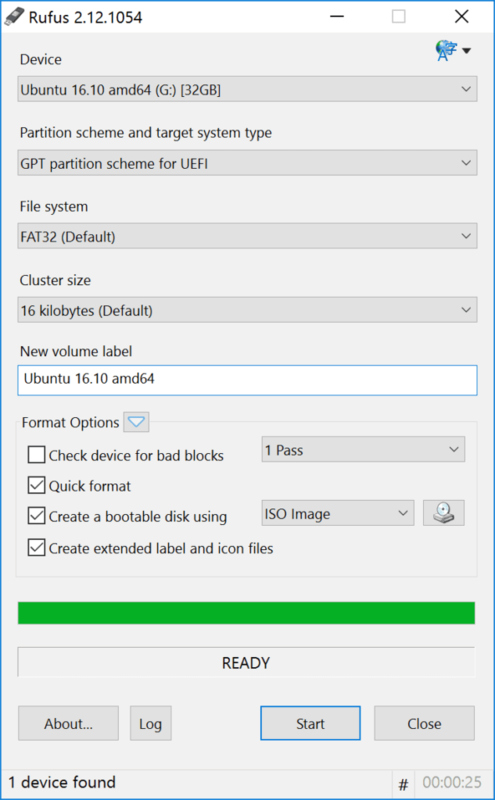 Make sure your USB drive is selected in Rufus and mount the ISO and click start to begin filling your USB drive with a Bootable Elementary OS. Meanwhile, Shrink your “C Drive” in which you’ve installed your Windows OS. A minimum of 16 GB is recommended when shrinking the drive. After shrinking, restart your PC or Laptop and then boot from your USB Drive by pressing ESC, Del or f12 Keys depending on your motherboard. Now you’ll automatically be presented with Elementary OS and at the end of the programs dock you’ll find Install Elementary OS Installer. You’ll get a clear understanding of this once you watch the below video tutorial. 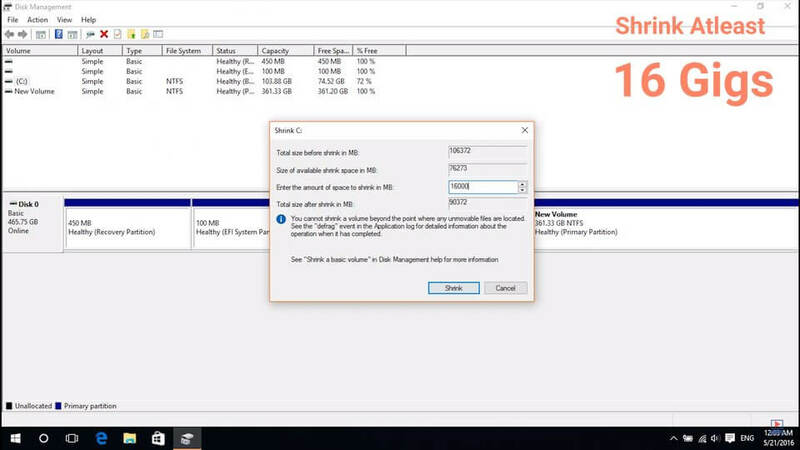 Swap partition creation is not shown in the video but I would strongly recommend everyone to make one. You’ll get a prompt of missing one while proceeding if you haven’t. This thread or post will be used to deal with problems occurring during the procedure. So, if you face any please comment below so that I can solve them. I’ve instructed some on the YouTube video comments section. I’ll request success installation methods down below based on the problem user is facing. Note: Concentrate more while making the partitions or you’ll end up messing with the bootloader which might cost your precious Windows OS that was already there in your system and the data along with it. Even you mess things up there’ll be always ways to retrieve the data and what not. But those might be difficult or easy depending on the expertise one has over these. The main thing is that Elementary OS is still new and is in beta stages. They’re actually requesting donations for their development over the OS. One more thing is that their current support is very poor and the documentation on Elementary OS install guide is not at all adequate. So keep these things in mind. But rest assured I’ll try my best to help if you find it difficult at any step.